Sometimes, when a vehicle is old or new, finding available parts for it can be difficult. This can sometimes be the case with finding Buick Park Avenue Parts. Of course, the best way to deal with hard-to-find parts is to broaden your search to better your chances at locating what you need. That’s what really sets UNeedAPart.com’s locating service apart from the crowd of our competitors. We offer our customers access to the inventories of over 7,000 parts suppliers, so finding the right Buick Park Avenue Parts is now easier than it has ever been before. With such a huge selection, even if some of the suppliers don’t have the parts, you can feel comfortable knowing that others will. Part of the success of UNeedAPart.com is the fact that we only deal with the best auto part suppliers in the nation. Then, multiply that quality by over 7,000 and you’ll see why UNeedAPart.com is your ultimate source for locating Buick Park Avenue Parts. Locate everything you need for your Buick Park Avenue, such as Buick Park Avenue Wheels or even Used Buick Park Avenue Engine. It doesn’t matter; no part is too small or too large to be located on UNeedAPart.com. Try it today and see the difference that comes with true strength of selection. 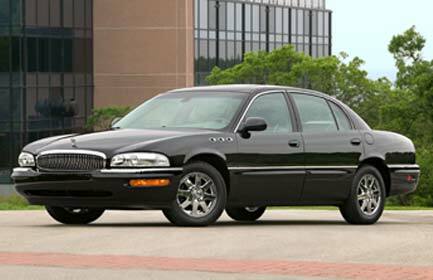 Find the right Buick Park Avenue Parts! To get started, simply use the Parts Request boxes at the top and/or side of the page. 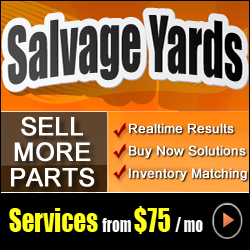 You will instantly be matched with auto parts dealers that meet your search criteria. UNeedAPart.com helps you find the new or used auto body parts you need in no time!